If 2018 set the scene through the explosive Hayne royal commission, this year is when the real changes roll in. The world of finance, particularly credit, is looking at a once in a generation chance to reshape how the industry in Australia works. The three biggest drivers of this will be the changes to how credit cards are assessed, open banking and the ongoing implementation of Comprehensive Credit Reporting. Each shifts the balance away from the way things used to be done. For brokers, these changes will mean more chances to show value to clients through educating them on what it means, as well as being able to take advantage of the opportunities these present. These changes are simple, but drastic. In a big move from ASIC, in 2019 credit card providers will need to assess eligibility based on being able to service the full card limit (e.g. $10,000) in three years rather than just the minimum monthly payment (MMP). We believe this will mean people who would have previously been eligible for a $25,000 limit in 2018 (under an MMP of 2 per cent) will now only be able to access $13,000 from January 2019. The opportunity for brokers is to help guide their clients through this process whether this means consolidating credit card debt into a personal loan or mortgage, adjusting expectations or reducing credit card limits ahead of applying for a new mortgage or personal loan. CCR has been a slow burn. From September in 2018, more banks and credit unions started reporting, joining forward-thinking lenders like MoneyPlace in reporting CCR. Currently, around 50 per cent of accounts have been loaded; at the end of this year, it will be 80 per cent. This will continue to have an impact for borrowers through 2019. CCR has so far predominantly covered personal loans and credit cards. But through 2019, it will also begin to include mortgages. We hope lenders will use this data to improve their mortgage lending decisions in the same way MoneyPlace has done for personal loans. We will continue to see how data can be used to improve credit ratings, with smart brokers helping borrowers to take advantage of better rates available to them through personalised interest rates. Likewise, some customers will need more guidance to help move up the credit ladder, continue to pay on time and improve their credit rating over time to access personal loans and mortgages. While the full launch of open banking has been delayed until February 2020 to enable testing and data security, the government is encouraging data holders to begin participating sooner through a pilot. If CCR is any indication, we will see industry leaders start participating in the second half of the 2019 before all four major banks come online in February 2020. It would not be unexpected for one of the big four banks to jump the gun on its peers. NAB did this and has taken a leading position with CCR. Open banking will begin to shift the balance of power over data to consumers and, ultimately, with client data more accessible and easier to transport, create a more streamlined and frictionless process for brokers to lodge deals with lenders. The risk will be that open banking may make it easier for customers to shop around themselves. Brokers will need to continue to provide extra value to their clients, providing expert advice and guidance to find a solution at the best price available without the hassle of applying themselves. All three of these changes bring clear challenges and opportunities for brokers this year. 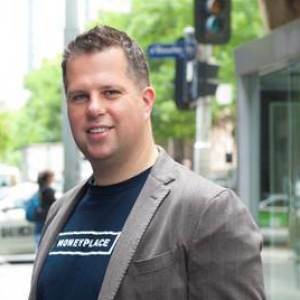 Stuart Stoyan is the CEO and founder of MoneyPlace, former chair of Fintech Australia and member of the Data Standards Body Advisory Committee.